There’s always a cost to doing business, and for some retailers, a big part of that cost is preventing loss through both theft and damage to their merchandise. In fact, some businesses are so vulnerable that they have to make loss prevention a key factor in their business strategy. Unfortunately, there are challenges to protecting valuable merchandise without obstructing shoppers. This is where secure display cases come into the picture. The best secure display cases keep retail merchandise safe from pilferage, damage, and disorder – without interfering in the overall shopping experience. Some retailers, based on the type of merchandise they carry, are more vulnerable to theft and damage than others. 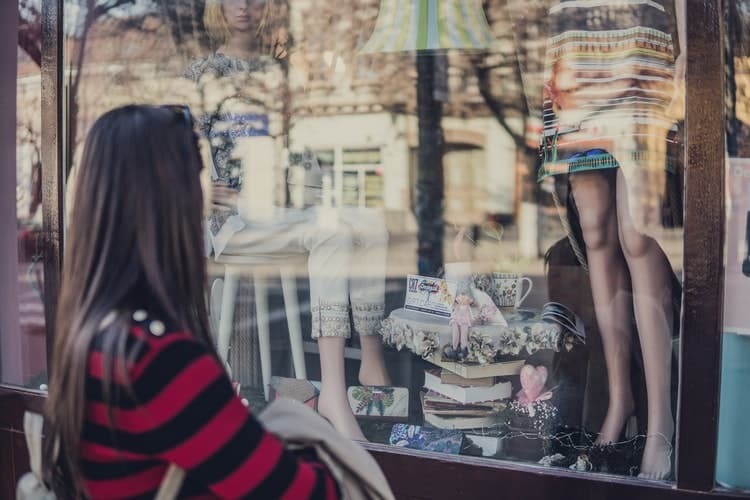 Here are 5 types of retail business that should consider investing in high quality, secured display cases. For owners of gunshops keeping inventory secure is necessary for the safety of customers, as well as and the community. Laminated glass is best because it is bullet resistant and difficult to smash. It costs more, but considering the merchandise inside, the expense is well worth it. While secure display cases built with high quality glass can withstand manual force, it’s also important to consider the “what ifs” that you might not want to think about. Accidents happen, and it’s crucial to do what you can – like invest in bulletproof display cases – to prevent injury and damage to your merchandise in the event of an accidental explosion or careless misfiring of a weapon. For retailers of smartphones, e-readers, tablets, and other high-end consumer electronics, customer experience is just as important as security. Displays are designed to highlight the special features of the products, as well as prevent loss. Consumer electronics should be displayed in secure cases that are strong and durable, yet showcase the merchandise inside in an aesthetically pleasing manner. All jewelers worry about smash-and-grab robberies. It can take less than a minute for a robber to smash a glass jewelry case and run off with your most expensive pieces. Because no robber wants to be caught red-handed, display cases that are smash resistant discourage theft. When choosing your jewelry display cases, look for beautiful construction with resilient glass in a casing that’s deceptively hard to break. Retailers that sell collectables and antiques know firsthand that some merchandise is simply irreplaceable. There is something about an item that’s one of a kind or holds years of its own history that begs to be touched. Unfortunately, the most precious and valuable of collectibles are also the most fragile, which means extra measures must be taken to protect it. By placing the most valuable or fragile collectibles in secure cases, you’re helping to reduce unnecessary or rough handling by ensuring that only the most interested customers – the one’s willing to take the time to seek your assistance – are given access. When something can’t be replaced, it deserves the utmost in care and product placement. Whether it’s fashion, retail, or beauty, high-end retailers need secure display casings. The level of security, however, will depend on the value of the merchandise. For example, a retailer that sells $2,000 handbags will have different merchandising needs that a high end cosmetics counter. Rest assured that there are high quality, secure display cases for all of your high end retail needs. Jahabow helps retailers showcase merchandise, while mitigating the risk of theft. If you’re interested in learning more about our secure display cases, contact us today.